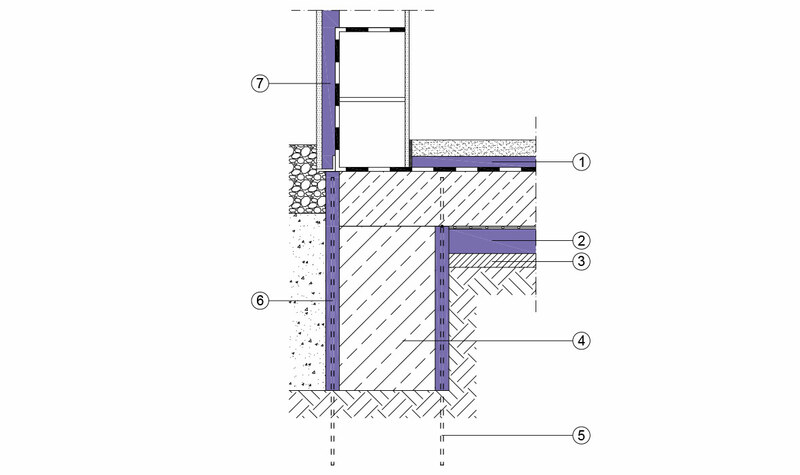 Naturally, formwork is necessary to cast foundations in concrete. 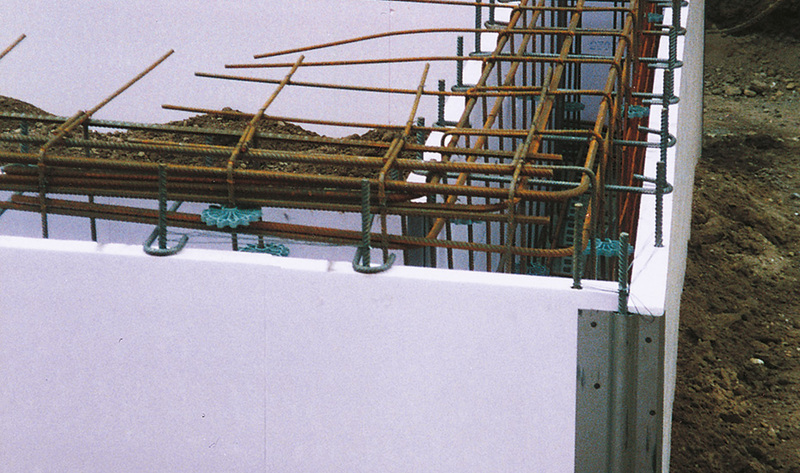 JACKODUR foundation formwork is made of extruded polystyrene foam and is intended as formwork for isolated and strip footings. It is left in place on the building element as permanent formwork, taking on the function of thermal-bridge insulation for the foundations. Set the JACKODUR foundation form perpendicularly on the ground and line it up. Then push pegs through the prefabricated casing sleeves (4 pcs/board) and drive them into the ground. A rebar with a diameter of 10 mm is a suitable peg. For inside and outside corners, the forms must also be glued together with a solvent-free adhesive (PU adhesive or foam). You can now lay the reinforcement in the JACKODUR foundation formwork. After this, you need to join opposite pegs together at the top with construction steel or tie wire. Then anchor the JACKODUR foundation formwork by filling it half full laterally with earth or by attaching suitable supports. Now you can start the concreting.